Choosing the right hosting is the first baby step to your successful online career. In the past 10 years, ShoutMeLoud has helped numerous individuals and businesses like yours to pick the right hosting for their WordPress blog/website. Our WordPress guide is sure to be very beneficial to you. If you are planning to start a WordPress blog, You have come to the right place by visiting ShoutMeLoud, because my WordPress guide is sure to be very beneficial to you. In the following post, I will help you to select the best WordPress hosting for your WordPress blog. In the past ten years of managing WordPress sites, I have used more than twelve WordPress shared hosting services, two managed web-hosting services, and one unmanaged VPS server. I enjoy learning about web-hosting technology and instead of hosting all my sites on one server, I use different host so that I could keep myself & my readers updated with latest in WordPress Webhosting industry. 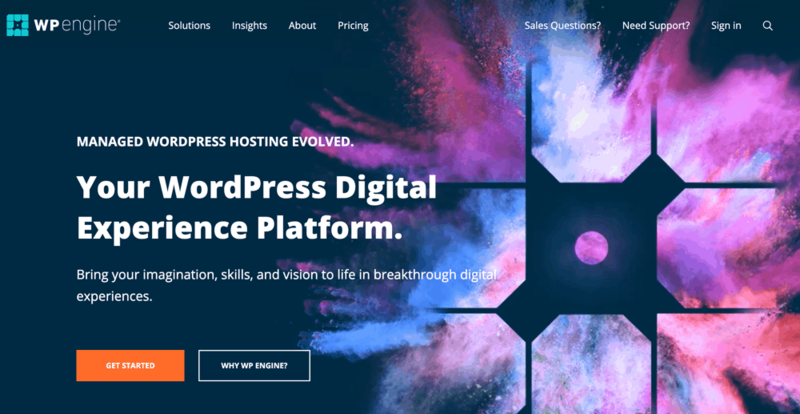 I have had absolutely bad experiences with GoDaddy WordPress hosting, and I have had some great experiences with budget shared hosting companies such as Bluehost and SiteGround. As a beginner, selecting the right hosting service is not only crucial but also a headache! I’m sure for you quality matters a great deal to you, as it does to me. One major factor to consider is technical support. WordPress is a memory hungry site, and it requires a database and PHP. Common errors such as the “500 Internal Error“, a blank homepage, or all posts being deleted are some of the issues which you may face with poor hosting service. Value for money: A lot of hosting offers similar features but charges 2X-3X for no reason. The features like free domain, Support, free SSL, CDN, and a few others were influencing factors. Speed: 2019 is all about the need for speed. If the hosting environment is not optimized for WordPress, expecting blazing fast WordPress website is not idle. Uptime: The uptime of hosting compared with industry standard has been another big factor. Anything which is below industry standard has been discarded. As a user of below mentioned hosting companies, I have monitored them for uptime to ensure they fit to be part of ShoutMeLoud’s best WordPress hosting guide. Response time: The hosting provider should have a really fast response time. Anything below 200ms is good. I have shared the response time of various hosting providers. The response time should also stay high under the stress test. This is where I have removed many shared hosting provider like Greengeeks, HostGator that didnot perform in the stress test. For instance, is it enough for you to host a medium server site or do you require a high traffic site? Do they have a limit in terms of bandwidth, and can they handle occasional or frequent traffic spikes? Next, server geographical location is very important for two reasons: Speed and Latency. Server location has a direct correlation with load time for your idle customers and visitors. All of the shared WP hosting services mentioned below cost less than $8/month, and with discount coupons, you can expect discounts of between 25% to 45% on the total price. I started using SiteGround in January of 2015, and I loved it immediately because of their customer support. So far, I have not found any shared hosting that offers such instant and HQ live chat support. They have been constantly adding new features and they are one of the few host that offers PHP 7.3. SiteGround has developed an in-house cache technology called Supercacher, which makes a WordPress blog ultra-fast. Supercacher is an advanced website optimization solution, which uses the Varnish web accelerator. Simply stated, SiteGround will ensure that your blog can handle high traffic and high loads blazingly fast. You can read more about SiteGround here. With the link below, you will get up to 70% off and free SSL. I recommend that you get their Growbig plan for a two or three-year package. 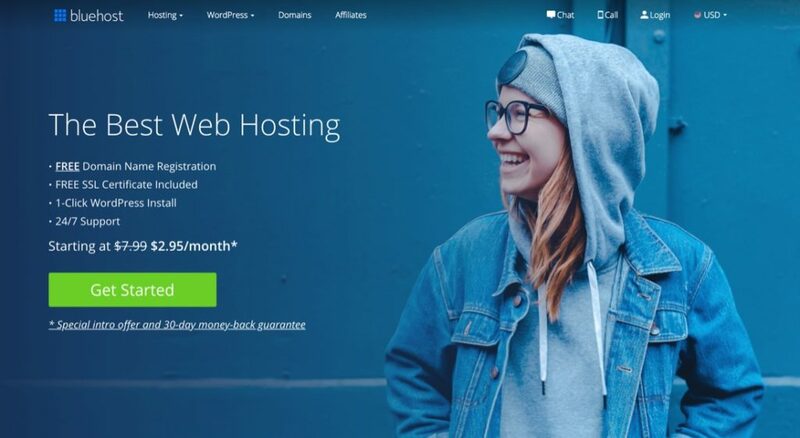 Bluehost is my top choice for starting a new WordPress site, and as a real user, I currently have many sites (cydiaguide.com, wphostingdiscount.com, and others) hosted on their server. The best part is, you can buy one hosting package from Bluehost and host multiple WordPress websites on it. The cost varies from $2.95-$5 depending upon the package you select. (see my notes below to pick the right Bluehost package). 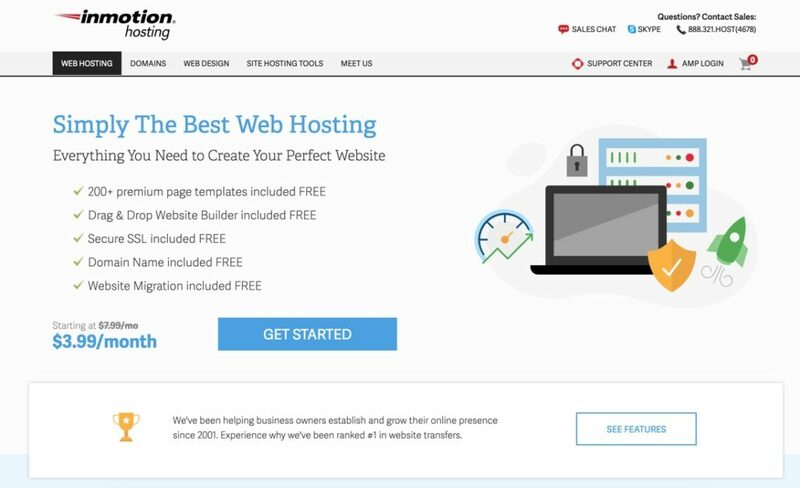 I first learned about Bluehost from an official WordPress hosting recommendation page, and after using their hosting service (I’m still hosting a few small sites) I’m happy to recommend it to our readers. They are the best hosting for WordPress and their hosting plan currently costs only $2.95/month for the first year, and with unlimited bandwidth and storage, this plan provides complete value for the money. 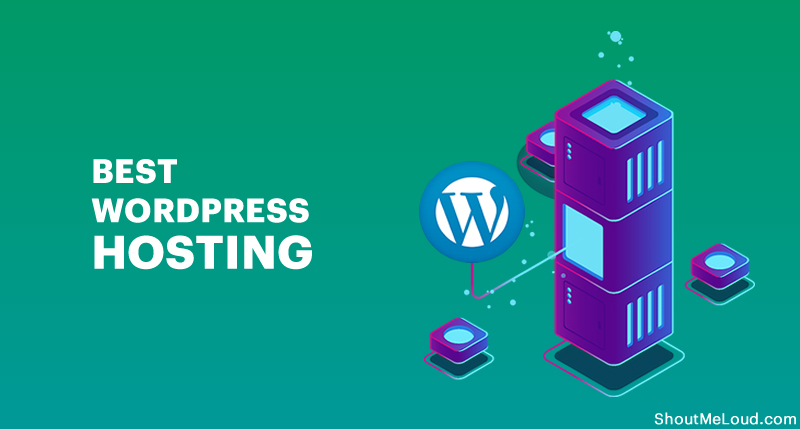 Another great feature of Bluehost is the fact that their servers are well optimized for running WordPress blogs and thus they allow you to install WordPress within 4-5 minutes. If you’d like to read about the detailed features of Bluehost, you can read the complete Bluehost review here. InMotion Hosting is a U.S. based hosting company started in 2001. Their headquarter is in Los angles & they are popular for their superior support quality. Especially if you are looking for a hosting which is native American, you would love Inmotion hosting. They offer various hosting type & offers unlimited bandwidth & storage. Along with this, they also offer a free domain name & free website migration. Especially if you are tired of your current hosting downtime, InMotionHosting is a complete value for money for you. If you are just starting out, Kinsta is not for you. This is for growing or enterprise level WordPress blog. 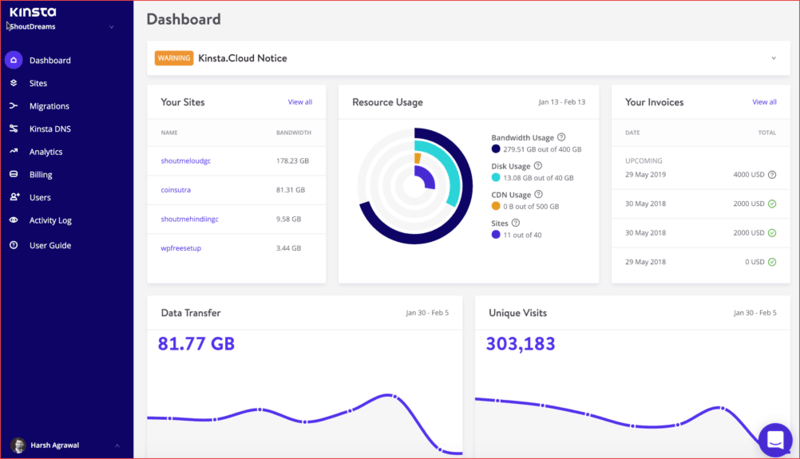 In the past, I have used both WPEngine & Cloudways, and at the time of the updating of this resource page (March 2019), ShoutMeLoud is hosted on Kinsta. We have monthly traffic of 1.1 million Pageviews & it’s only Kinsta hosting that is the complete value for money, when you have a high-traffic WordPress site. What I really like about Kinsta is their friendly support and excellent architect to host WordPress website. I pay close to $400/month for hosting ShoutMeLoud on Kinsta and it’s a complete value for money. You can read my detailed Kinsta review here. At Kinsta you can get started with $30/month. They are the only best WordPress host that let you pick from 10 different server location. If you are sure of which country traffic you need, you should pick the server location closes to our idle customer or visitors. This is really good considering the hosting is top-notch. Kinsta uses Nginx, so there is no need for a cache plugin. So far I have had no issues with them, and as a managed WordPress hosting, they are amazing. WPEngine is the trend settler of managed WordPress hosting. They are idle for any B2B based website where performance is the utmost requirement. With every Wp Engine plan, you also get Genesis framework and 35+ StudioPress WordPress themes free. If you are planning to move from your existing hosting, you can use WPEngine auto migration plugin to migrate yourself. They also offer free SSL and CDN. Their geo-targeting feature is perfect for any brand who wants to show the different content in different geo-locations. A perfect conversion optimization add-on for WooCommerce websites. The entry-level plan (startup) is $35 which allows 25,000 visits/month. I could have included many more hosting but it beats the purpose of finding the idle hosting for your WordPress site. I have carefully selected these few based on my 10 years of experience of WordPress. To be honest, I would rather suggest 1-2 hosting which makes your life easier. However, a lot of users wanted more options as it helps them to compare 2 or more hosting in the same category. Both of these hosting has been around for a long while and they keep innovating new technology to help newbies manage their website easier. I definitely like SiteGround more than Bluehost when it comes to customer support and server locations, but Bluehost has an edge with their unlimited bandwidth and traffic. If you are looking to migrate your hosting for your growing WordPress website, these two are the idle option. A2Hosting allows unlimited traffic where as Kinsta have limitations there. I have recommended these three based on my experience and preferential order. I have used both WPEngine and Kinsta (we are currently hosted there) and can say great things about both of them. ShoutMeLoud gets about 1.1 million page views and has a complex WordPress architect. I know a few folks who get more than 3 million page views and they are hosted on Kinsta because of the support and speed. I have shared my experience of Kinsta hosting here. 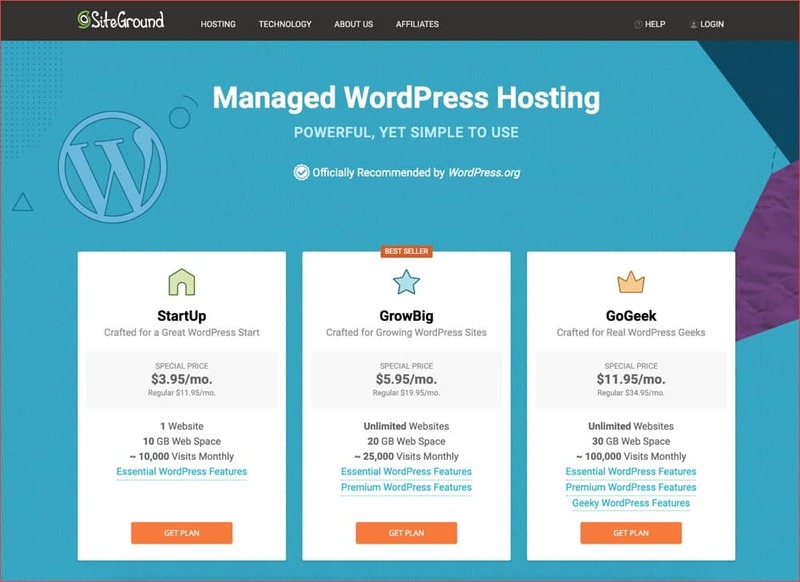 These are the best WordPress hosting service for every kind of WordPress blog and website. I hope it helps you to pick the right one for yourself. If you still have questions or need assistance, you can reach out to us via the contact page.